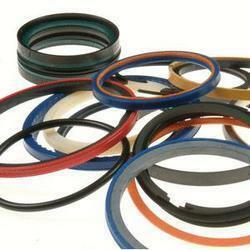 pneumatic seals : v-seal, rod seals, metal bonded rubber diaphragm, piston seal, o-rings, slide rings, t-rings. Hydro pneumatic seals etc. In polyurethane, nitrile, neoprene, viton, silicone, teflon etc. 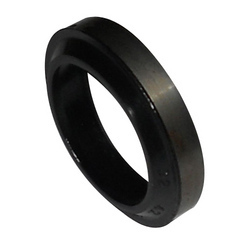 Various industrial rubber seals like XNBR, HNBR, NBR, Viton, and one of our indigenous materials. With honest intentions to improve the standing we have earned in this arena, we are offering a distinct collection of Pneumatic Cylinder Seals. Being a well-distinguished company in the market, we are into offering Pneumatic Cylinder Seal. We provide spare seal kit for pneumatic & hydraulic cylinders . Repairing facilities also available with us. With a firm commitment to quality, we are involved in offering a wide ambit of Pneumatic Cylinder Seal. Bestowed by a progressive production setup, we have attained specialization in presenting top quality of Pneumatic Cylinder Seal to our patrons. we are the leading manufacturer of seals for hydraulic & pneumatic cylinders in various sizes and also manufacture as per customer design or size.